Below are the available full Panniru Thirumurai texts in PDF format, courtesy of ProjectMadurai.org. Also included below are popular song selections taken from the Panniru Thirumurai - these original compositions were sung by the recognized sixty-three nayanar saints of the Saivite galaxy, who were very fortunate to receive Siva's infinite compassion, love, and grace. 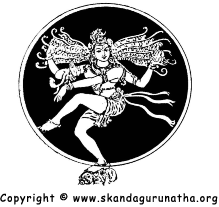 These songs are provided for you as a service to our beloved Lord Siva. May you incorporate these sacred hymns into your spiritual sadhana and benefit thereby. May Lord Siva's grace and blessings be upon you always.